Histamine mediates a wide range of cellular responses, including allergic and inflammatory reactions, gastric acid secretion, and neurotransmission in the central nervous system. 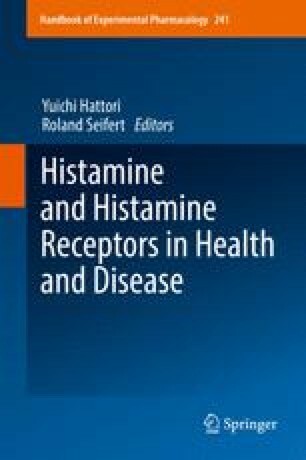 Histamine also exerts a series of actions upon the cardiovascular system but may not normally play a significant role in regulating cardiovascular function. During tissue injury, inflammation, and allergic responses, mast cells (or non-mast cells) within the tissues can release large amounts of histamine that leads to noticeable cardiovascular effects. Owing to intensive research during several decades, the distribution, function, and pathophysiological role of cardiovascular H1- and H2-receptors has become recognized adequately. Besides the recognized H1- and H2-receptor-mediated cardiovascular responses, novel roles of H3- and H4-receptors in cardiovascular physiology and pathophysiology have been identified over the last decade. In this review, we describe recent advances in our understanding of cardiovascular function and dysfunction mediated by histamine receptors, including H3- and H4-receptors, their potential mechanisms of action, and their pathological significance.